Welcome to my personal homepage. I hope the information provided will give you an idea of my teaching and research interests. I am devoted to education and teaching about management. I am focusing my research on human resources management issues such as job satisfaction, job turnover and employment of disabled people. I am also conducting research about multinational companies entry mode into foreign markets. I hold a doctorate in Management (2003) from the University of Tsukuba, Japan. 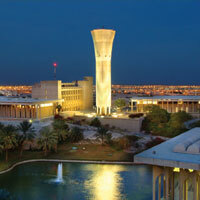 Since 2004, I have been an Assistant Professor of Management at the College of Industrial Management (AACSB Accredited) in King Fahd University of Petroleum and Minerals in Dhahran, Saudi Arabia.